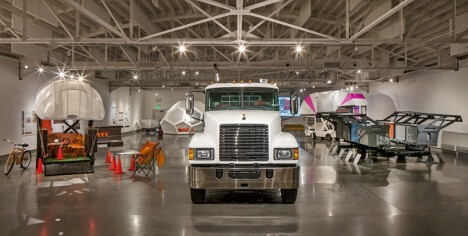 With participating design studios from around America, this exhibition features a series of amazing mobile spaces that use technology and ingenuity to explore new possibilities for the modern nomad. 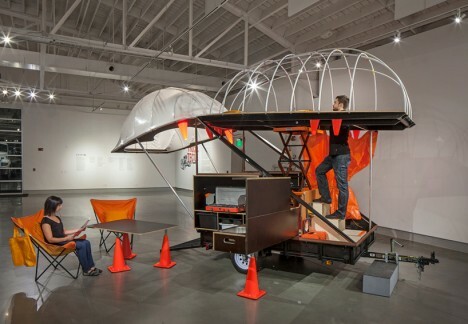 Two of the four projects in particular are worth a closer look, whether or not you are able to visit and see them on display in Omaha, Nebraska this month (images by Tom Kessler via Kaneko). 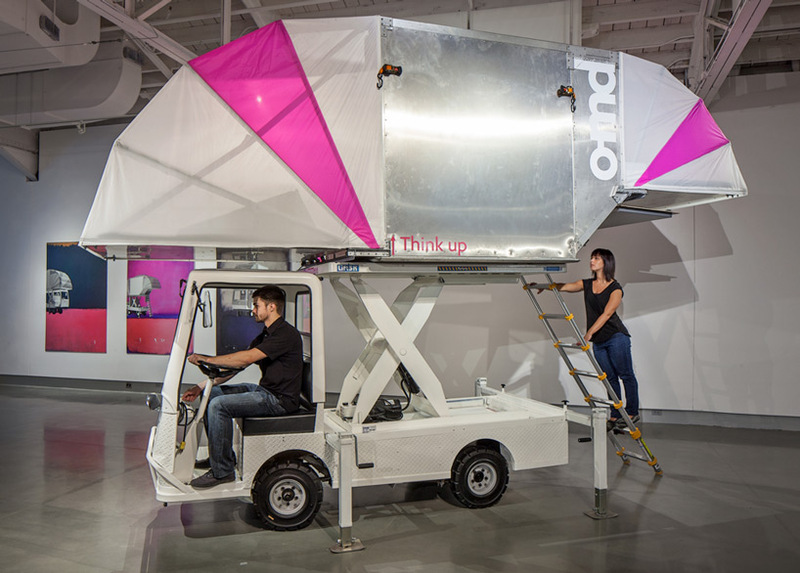 The Office of Mobile Design contributed the Aero-Mobile to the Truck-A-Tecture collection, using a scissor lift system to raise up and deploy a pod that then extends over the cab of the vehicle. 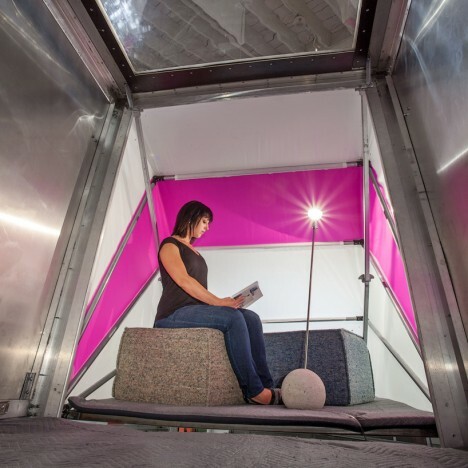 Fold-down walls expand usable space while the elevated platform allows for a smaller footprint and thus more versatile parking options (not to mention some safety in areas with aggressive or curious wildlife). 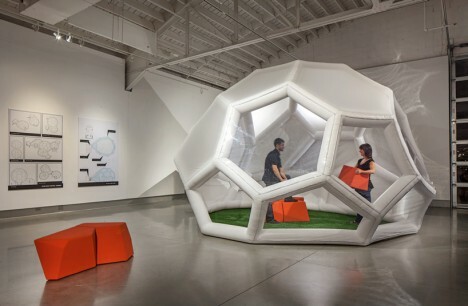 The Pneumad by Min|Day is an inflatable structure that takes up relatively little space but spreads out to create a geodesic shelter with modular furniture. 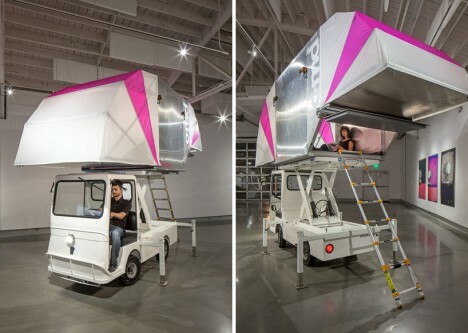 The idea is, in part, to reduce the spatial and energy requirements of a portable shelter, making it possible for smaller vehicles to tow a part-time dwelling.